Posted June 18th, 2013 by David Porter & filed under Hot Topics, Social. The creative industries are worth billions to the UK. Jobs, taxes and international reputation all add up to a lot. So any new developments are greeted with the usual sprinkling of scepticism but also with a real dose of enthusiastic hope for new creative and economic possibilities. Shakespeare had it right, if music is indeed the food of love, then, ‘play on’. Till now, the playing and writing of music have largely been confined to those who have mastered the vocabulary of music. There are exceptions, like Paul McCartney who didn’t read music as such, but generally and at the higher levels, it’s a closed world. Now, just like self-publishing, self filming and self writing, self composing is possible. From inside our own heads! Roll over Beethoven, indeed. Dr Eduardo Miranda, the director of Plymouth University’s Interdisciplinary Centre for Computer Music Research is leading work that makes music from MRI scans. The sitter has an electrode front and rear of the head which reads electricity activity while he/she stares at a computer screen sporting red and green buttons. These pulsate at at different rates, fed from the brain to a synthesiser. Thus, the player makes the gadget work by looking at the buttons. It’s that simple. It will be a boon for the paralysed people after stroke or other accidents. But research rarely stands still. 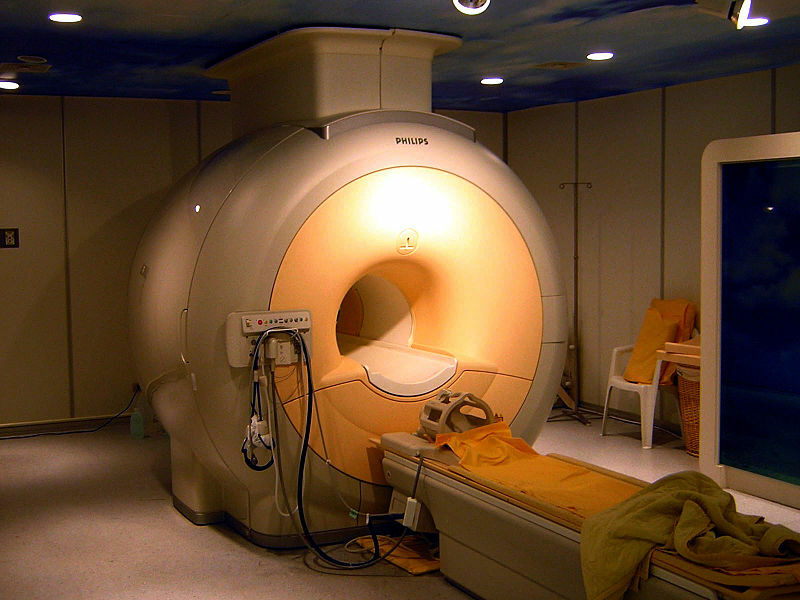 Reports are emerging of experiments involving volunteers listening to Beethoven in an MRI scanner. Their response data to the music, as shown by neurological brain activity is fed to a computer which uses it to ‘rewrite’ the music to appeal more and individually to each listener. For the past sixty years, people have been experimenting with music, electronics, maths and architecture. This is new. It could eventually compose music not to reflect mood but to change it. Professor Miranda told Andrew Smith of the Sunday Times, ‘music happens up here’, as he tapped his forehead. Not to be outdone, the world of visual arts is already capitalising on the power of thought to create art. This includes fine art, illustration and film/photographic image art, too. Electronic pictures, made from thoughts translated by a computer, are forming part of therapies for people with a variety of diseases, including ‘locked-in syndrome’. Brainwaves ‘take control of a palette of colours’, according to Richard Gray, the Sunday Telegraph’s Science correspondent. The next step is a device to be implanted into the brain to permit computers to interpret human thought directly. The mere thinking of a command will operate the computer. You’ll be able to dream up and think your work of art. And the one after that will start anticipating what you’ll want to draw or paint from the data it continuously gathers on you. All this is a branch of brain-computer interface technology and it stops… where? When robots can be controlled by thought, when everything is done by thought rather than spoken or written. In the meantime, if there is a song, a piece of music or art that you love that was created in a more traditional way, better snap it up now. Before somebody merely thinks it before you and it’s gone. Forever.